We are PT. 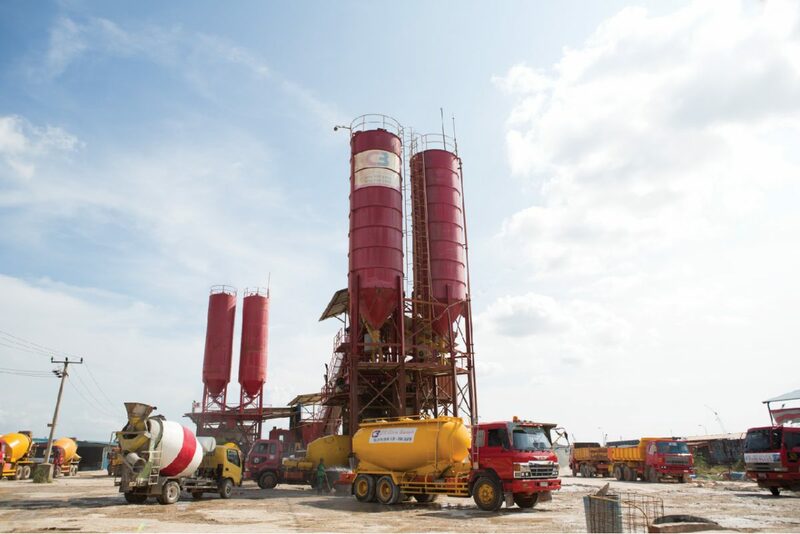 Citra Beton, a company focus in production and delivery a superior quality of concrete/ready mixed using computerized “Batching Plant” and also including Piling Production, Sales of Sand and Granite. PT. Citra Beton well known since established on December 30th, 2009 as stipulated in Notarial Deed of Establishment No. 287 made before Yondri Darto, SH., Notary in Batam and has been approved and registered by the Authorized Ministry, we are located in a strategic areas at Kavling 20 Sei Lekop, Kampung Becek – Sagulung, Tanjung Uncang, Batam–Indonesia. Becoming well-knowing supplier of ready mixed concrete in Batam within 3 (three) years. To leading and develop the company quality with emphasis on product quality, customer service, personnel development and occupational health and safety. To consistenly strive to maintain a superior quality of concrete production. To provide an excellent service and exceptional timely precise in every delivery. Being flexible, honest and reliable in a competitive market conditions. Continue to be an integral part of the society, supporting the well-being of personnel and provide the good standart of living for business continuity. "We Are Building With Confidence"